While advancing technology brings the wonders of the world right into our living rooms, no matter how realistic, it just can’t match the thrill of marvelling at animals in the wild. From witnessing ‘gorillas in the mist’ to mingling with penguins, being immersed in nature can be a transformative experience. With tropical beaches, lush rainforest, and abundant wildlife, it’s hard to beat Costa Rica when it comes to a tropical holiday. Watch for a diverse array of our planet’s creatures with everything from sloths and rare birds to four types of monkeys, countless lizard species, tapirs and marine life like dolphins and migrating whales. With plenty of sun, stunning stretches of sand, surf and outdoor adventure opportunities, you can enjoy a holiday that’s as relaxed or as active as you’d like. 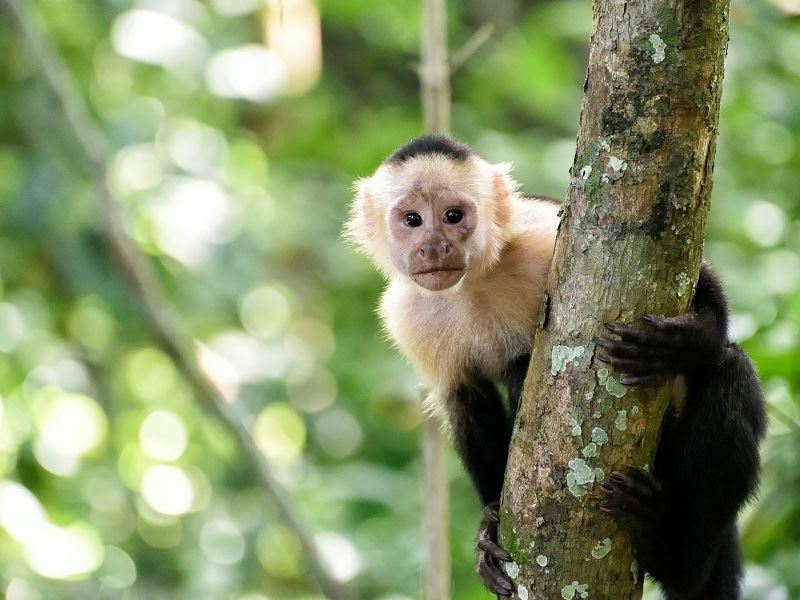 Monkey and sloth sightings are common at Manuel Antonio National Park while Tortugero National Park, which can only be accessed by plane or boat, boasts amphibians and birds that exist no where else in the nation. 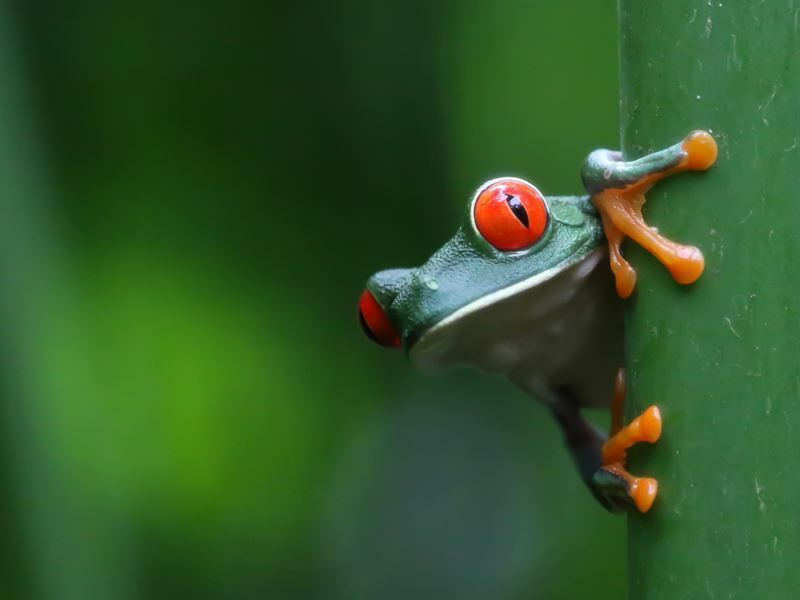 With a trek up Costa Rica’s tallest mountain, you’ll have a good chance of close encounters with monkeys and peccaries, and you might just glimpse a toucan, jaguar or ocelot. There are everything from gentle active pursuits to heart-pounding thrills in Costa Rica too. Some of the highlights include waterfall rappelling, zip line rides, boat tours, kayaking, horseback riding and surfing. Sri Lanka offers a ton for nature and adventure lovers, with much of it found in the nation’s national parks. Minneriya National Park forms part of the elephant corridor which links Wasgomuwa and Kaudulla parks, and large numbers of the majestic animals can be viewed here during certain times of the year, peaking from July through October. When the water elsewhere dries up, as many as 300 or more elephants arrive to bathe, drink and feed on the fresh grass that grows from the lake bed as the water retreats as well as to search for a mate and to socialize. In Yala National Park, glimpse leopard, elephant and rare birds, while the even more popular Udawalawe National Park serves as crucial habitat for Sri Lankan elephants and water birds. If you’re hoping to see baby elephants, you won’t want to miss it, as this park is renowned for its elephant breeding grounds where they can be seen grazing among their elders throughout the year. Sri Lanka is also home to the Temple of the Sacred Tooth, the country’s most important Buddhist relic as the tooth of the Buddha himself. The heavily guarded tooth sits in the golden-roofed temple inside of a gold casket that contains a series of six dagoba caskets in diminishing sizes. The complex not only includes the revered main temple but a series of smaller temples too, along with museums and shrines. 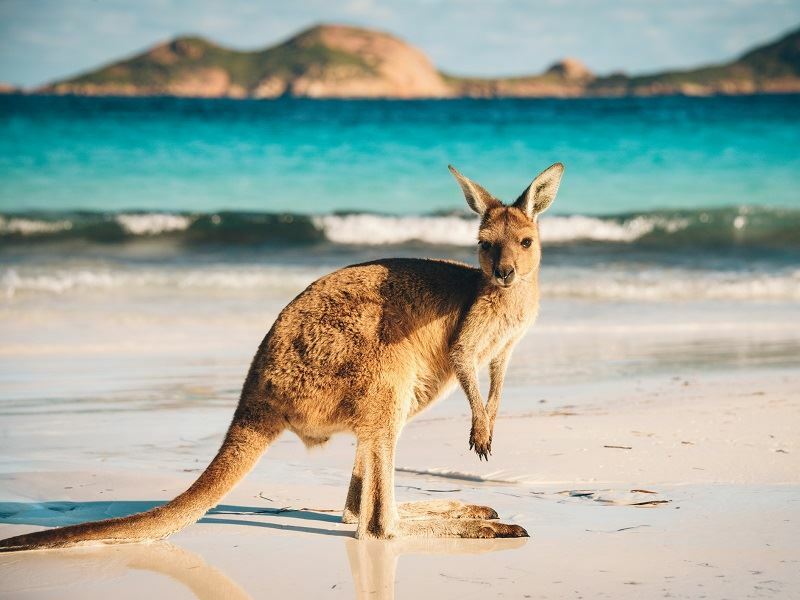 Australia is famous for its unique wildlife, particularly kangaroos, but you’ll have the opportunity to spot many other creatures while in the land “down under.” If it’s a spectacular underwater world you’d like to experience, there are few better destinations than the Great Barrier Reef. Mother Nature called upon every colour in its vast palette, liberally applying them to this reef that’s considered to be one of the world’s seven natural wonders. Spanning for nearly 150 miles, it’s made up entirely of living organisms providing the ultimate opportunity for snorkeling among sea turtles, vibrant corals, sharks and colourful fish. If you’d rather not get wet, glass-bottom boat tours are available allowing you to peer right into that clear, life-filled water. The pretty coastal city of Cairns, is an ideal jumping off point to the reef as well as offering a wide range of attractions like the Cairns Wildlife Dome which features a replicated rainforest environment with birds like parrots, lorikeets and cockatoos that fly freely, along with animals like koalas, wallabies, kookaburras, crocs, pythons and more. Daintree, the world’s oldest tropical rainforest and one of the world’s biodiversity hotspots, offers the chance to search for the elusive saltwater crocs while on a cruise along the Daintree River, whiz through the rainforest on a zip-line watching out for wildlife along the way and embark on a stroll through the jungle after dark to view nocturnal animals. 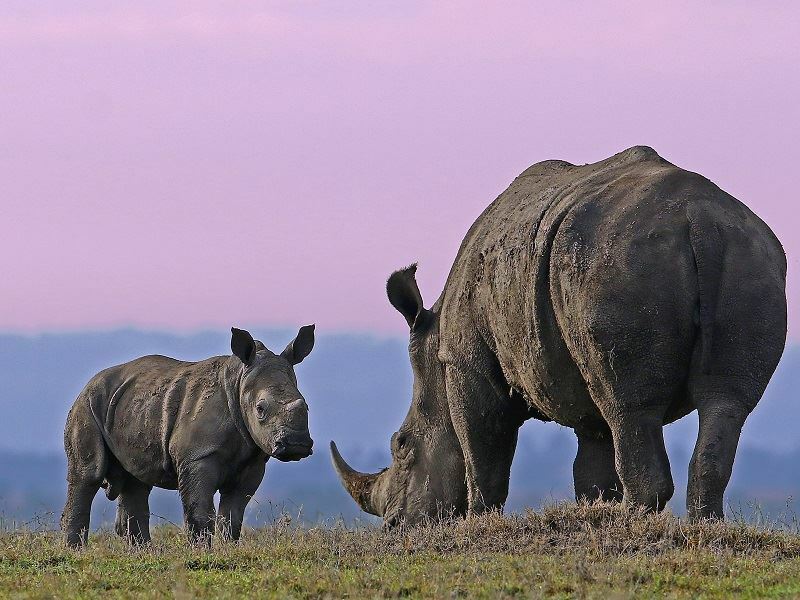 One of the most popular destinations in East Africa, frequently mentioned as one of the top spots for photographing animals on the continent and even the world, the Masai Mara National Reserve is part of the Greater Serengeti ecosystem. While the vast red-oat grass plains provide food for the grazing herds of wildebeests and zebras, during the wet season, large herds of buffalos and elephants feed on the tall grass. 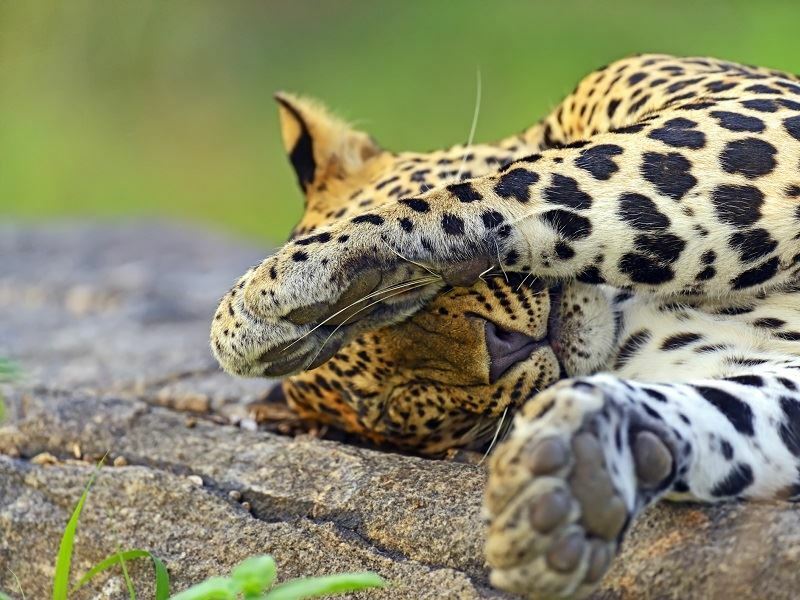 The forested banks of the Mara River provide refuge for elephants, leopards and monkeys, while the big cats, enjoy its shade during the hottest parts of the day. Tracking the mountain gorillas in Rwanda is truly an experience of a lifetime. This small nation that lies on the highest African plateau with its undulating hills and mountains often enshrouded in mist, led to the well-known term “gorillas in the mist,” both a book and a film which introduced many people across the globe to this remarkably intimate wildlife experience that’s unlike any other on the continent. 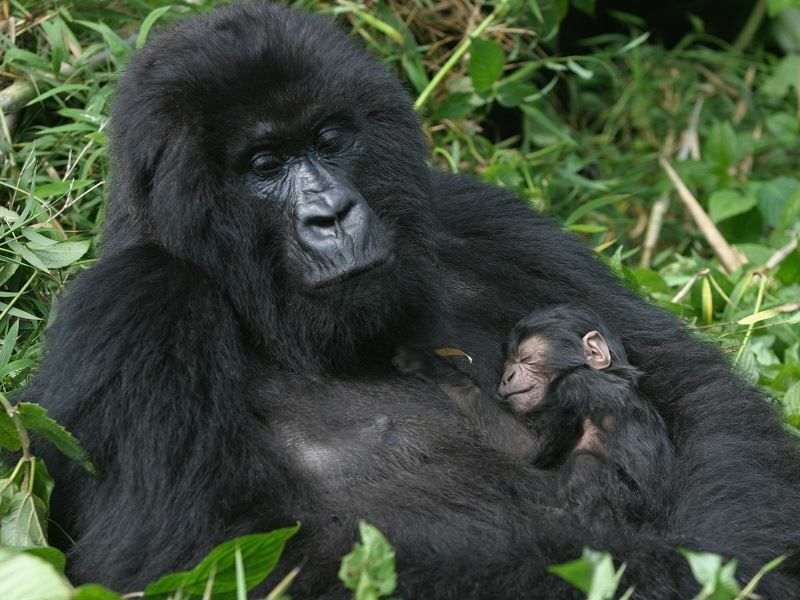 It’s home to two-thirds of the world’s few surviving mountain gorillas – a population estimated to be at less than 900. There are several lodges around the headquarters of Rwanda’s Parc National des Volcans, where all the treks begin, with the arguably highest quality establishment being the Sabyinyo Silverback Lodge. Cape Town is the crown jewel of South Africa, where you’ll find beaches that provide sun, sand and surf, as well as fantastic wildlife viewing options in the surrounding region. If you’re fit and adventurous, climb to the top of Table Mountain for a bird’s-eye view of the city, or head to the Table Mountain Aerial Cableway, a suspended cable car that offers a rotating 360-degree view of Cape Town and the coast. Boulders Beach, located in Table Mountain National Park, is the only spot where you can get up close to African penguins. 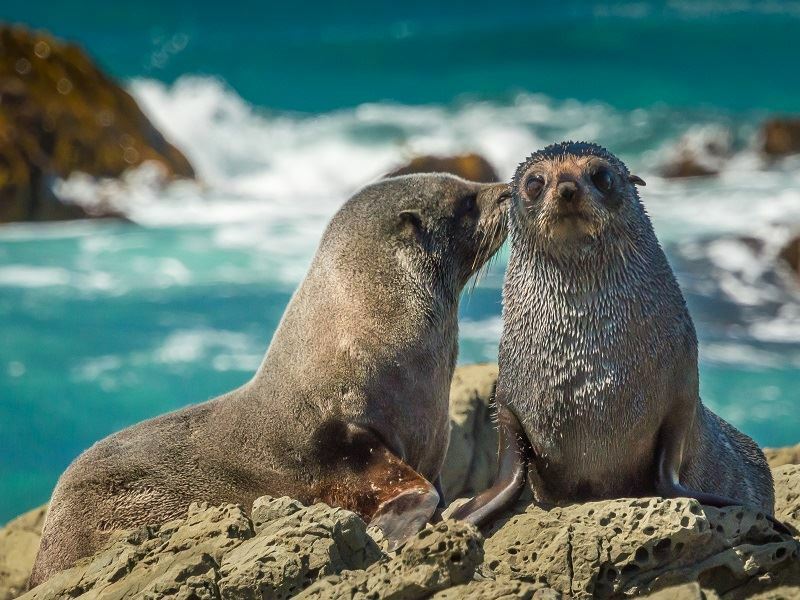 While the country is most well-known for its Big Five, it’s also ideal for marine life, with southern right whales, Bryde’s whales and humpbacks often seen along the shores of False Bay and in the waters of Cape Agulhas. You may want to sip your way through Constantia Valley, if you’re into fine vino. This region produces robust reds and crisp whites as the site where the wine industry began in South Africa, all the way back to the 17th-century. There are eight award-wining wine estates, and at the oldest vineyard, Groot Constantia, you can take a tour and enjoy samples of the winery’s sweet dessert wines that Jane Austin and Napoleon Bonaparte once found so appealing. 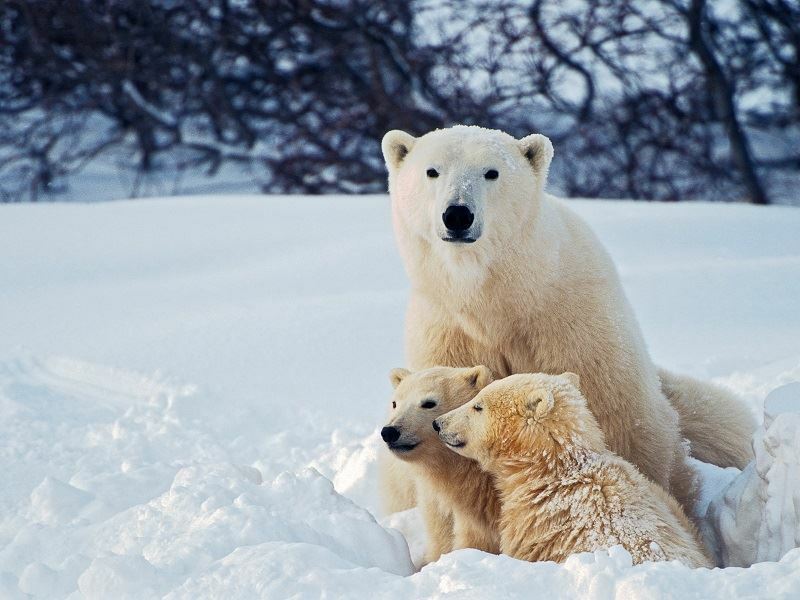 The “Polar Bear Capital of the World,” the town of Churchill lies on the banks of Hudson Bay in the far north of Manitoba. A land filled with Arctic wildlife, in addition to bears there are caribou, seals, wolves and Arctic Fox, along with an awe-inspiring backdrop of sea and icy landscapes that make for spectacular photo opportunities. In this photographer’s dream, not only are you likely to capture shots of the bears close up, but on a clear night, nature’s most dazzling light show, the aurora borealis. Some lodges here, like the Seal River Heritage Lodge, offer a special Polar Bear Photo Safari in October and November, maximizing viewing opportunities while providing amazing views of the coast, scenic natural trails, large picture windows for viewing the wildlife outside as well as a lodge viewing tower. It’s your chance for personal encounters with animals that few others get to experience, outside the confines of a zoo. For a holiday that combines the Wild West with wildlife, visit some of America’s most fascinating towns in the west in Wyoming, South Dakota and Montana. Your first glimpse of the majestic Rockies is guaranteed to make your jaw drop. The Teton Range with its dramatic jagged peaks serves as the backdrop for the cowboy town of Jackson, the gateway to Grand Teton National Park. Cowboys and all sorts of other characters have been strolling its wooden sidewalks for more than a century, and the streets were once a place where arguments would be resolved by gunfight. In the park, you’ll find a wildlife lovers’ paradise, with the chance to spot moose, elk, wolves, grizzly and black bears, as well as birds like bald eagles and even pelicans. There are miles and miles of hiking and mountain biking trails, while the Snake River offers the ideal venue for a wilderness float trip. Horseback excursions and wagon rides are just two of the ways to experience Montana’s stunning scenery before heading into one of America’s most impressive national parks: Yellowstone. Next to Old Faithful, which skyrockets water up to 135 feet into the sky as a crowd circles around and cheers, the park is most famous for its wildlife. 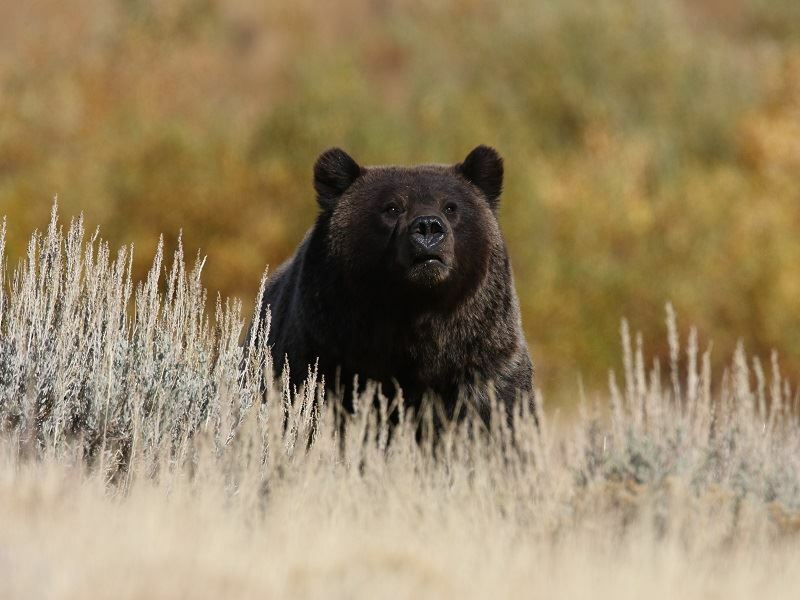 just some of the 60+ type of mammals that live here include bison, gray wolves, grizzly bears and elk. Heading east to the Black Hills of South Dakota, marvel at two manmade monuments: Mount Rushmore and the Crazy Horse Memorial, before witnessing the largest private viewing habitat of American black bears at Bear Country USA. 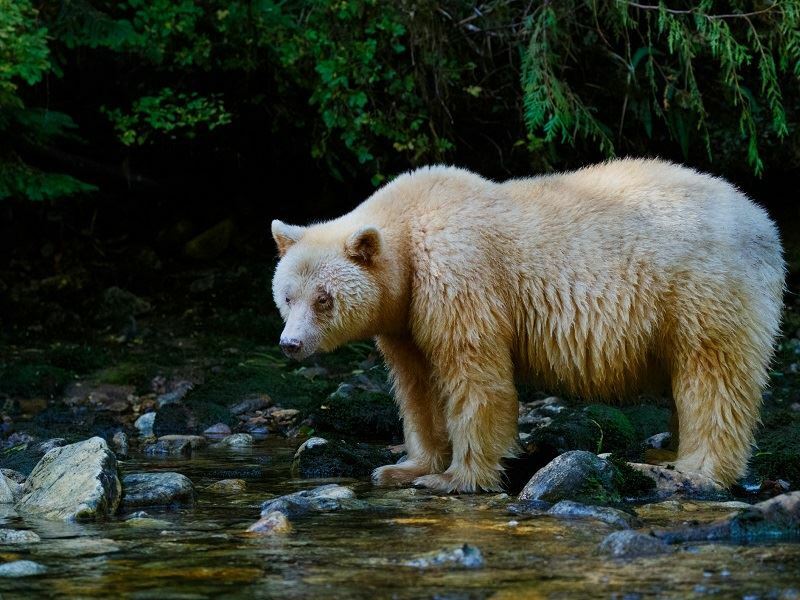 Canada offers an entirely different ‘Big Five,” experience with the opportunity to see polar bear, black bear, moose, beluga whales and bison in the province of Manitoba. A once-in-a-lifetime kind of adventure, you might start out at Riding Mountain National Park, where black bears trod their way along the boreal trails and the sounds of an elk bugling echoes through the forest. Here you can search for moose and witness herds of bison on the prairie meadows too. For beluga whales and polar bears, head to the far north where you’ll find the town of Churchill at the edge of Hudson Bay. 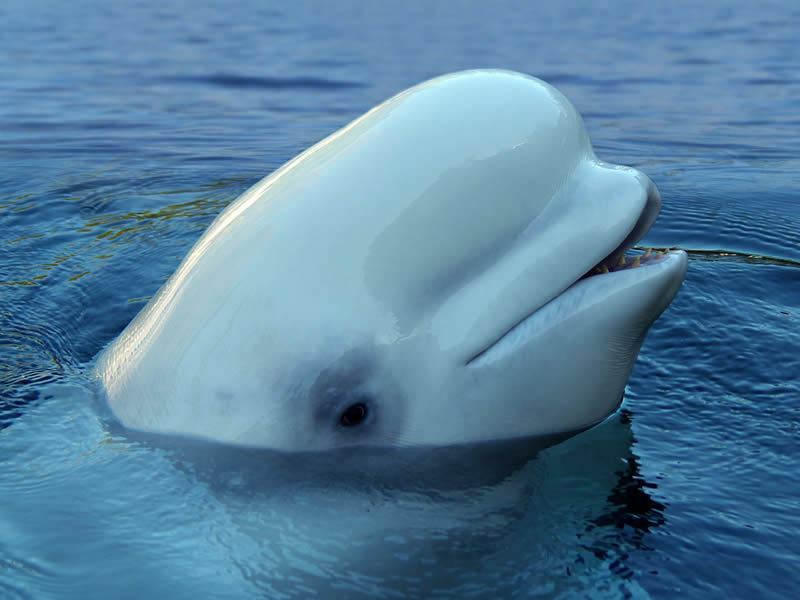 The friendly, curious white whales look as if they have a permanent grin on their face, and nearly 60,000 of the creatures arrive in the summer, swimming in the warmer waters of the Churchill River after the ice breaks. Venturing out on a boat tour into the Churchill Estuary, you’ll get a closeup look at the schools of belugas that gather together to feed. In late summer, the polar bears begin to arrive, so if you time your trip right, you may be able to spot at least one of them from the comfort and safety of a tundra buggy. 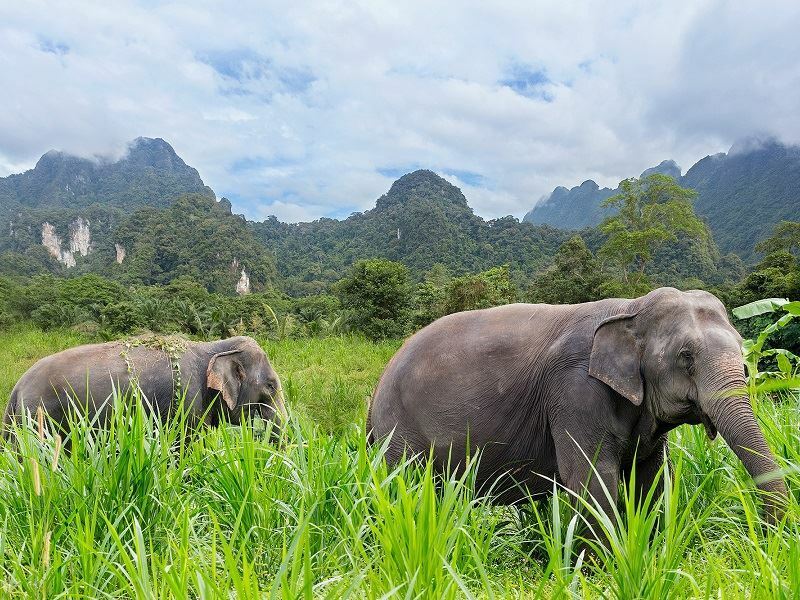 If a luxurious elephant-focused holiday is something you’ve been dreaming of there are fewer better places to go than Elephant Hills, located deep in the Thai mainland. The beautifully crafted safari tent camp sits perched alongside a rushing river in the Khao Sok jungle in Khao Sok National Park, which is home to one of the oldest and largest rainforests in the world, along with sun bears, gibbons, macaques, and Asian elephants. A variety of tours are offered, providing hands-on, yet ethical experiences with the elephants, like taking part in the daily feedings and bathing rituals. Canoe tours to watch for reptiles and bird life, longtail boat lake cruises and jungle treks are just a few activity options here as well. The South Island of New Zealand is renowned for its stunningly remote wilderness areas, wildlife and wealth of outdoor adventure. The country’s 10 highest mountains are all located here, as well as its five largest glaciers and its five largest lakes. Here you’ll be able to take in some of the most breathtaking sights on Earth, enjoy close encounters with unique wildlife like yellow-eyed penguins and the only mainland Royal Albatross colony in the world. Take a cruise to Doubtful Sound, a vast unspoiled area of natural beauty with emerald rainforest, rugged peaks and hidden coves, as well as wildlife like fur seals, bottlenose dolphins and the rare Fiordland crested penguin. Milford Sound, in the heart of Fiordland National Park brings mesmerising views around every turn, while the city of Queenstown is legendary for its big thrills like bungy jumping and sky diving, though it also offers more gentle pursuits too, including a wide range of water sports. Mt Cook National Park, home to New Zealand’s tallest mountain, is a place of permanent snow fields, glaciers and craggy peaks that stretch high above the clouds. A flightseeing tour overs unsurpassed views of the landscape, and even the option to land right on Tasman Glacier. There are some 40 bird species here too, including the small flightless kiwi that serves as the country’s symbol, endemic to New Zealand, and the kea, a mountain parrot recognized by its beautifully coloured feathers. Many of America’s best national parks can be found in the west, and one of the best ways to experience them is to embark on a road trip. Start out in California with a visit to Yosemite, famous for its granite Half Dome, abundance of waterfalls and wildlife like black bears and bighorn sheep. Venture south to Death Valley to explore the mystery of the sailing stones, and in the spring, a dazzling display of wildflowers. Zion, Bryce, the Grand Canyon and Arches national parks are best-known for their incredible canyons and remarkable rock formations, while Yellowstone is filled with impressive geological features like Old Faithful along with fascinating wildlife that includes bison, elk, moose, wolves, bears and more. 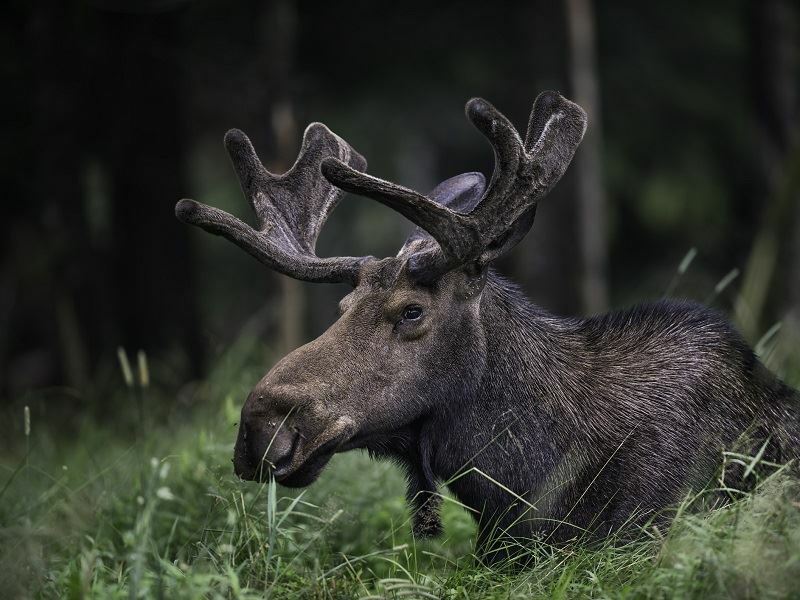 Wildlife spotting in Wyoming’s Grand Teton National Park provides a wonderful “grand finale” watching the moose graze in the willow marshes, bears that ransack berry bushes and plains species like pronghorn and bison that stand among the sagebrush.